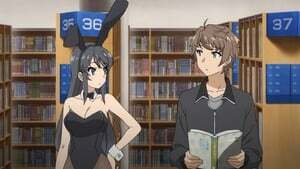 SEISHUN BUTA YAROU WA BUNNY GIRL SENPAI NO YUME WO MINAI Season 1 Episode 3 Puberty Syndrome—a rumored, mysterious syndrome that only affects those in their puberty. 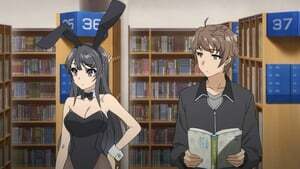 For example, a bunny girl suddenly appeared in front of Sakuta Azusagawa. 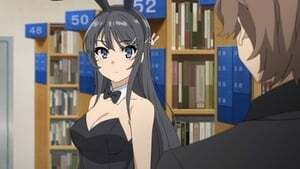 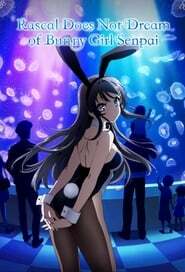 The bunny girl’s real identity is Mai Sakurajima, a teenage celebrity who is currently an inactive high school senior. 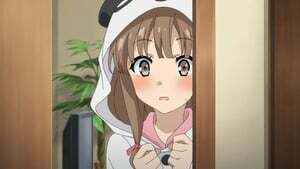 For some reason, her charming figure does not reflect in the eyes of others. 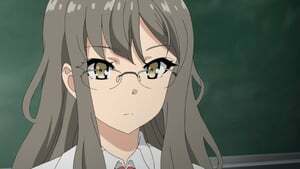 In the course of revealing the mystery behind this phenomenon, Sakuta begins to explore his feelings towards Mai. 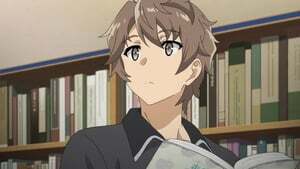 Set in a city where the skies and seas shine, Sakuta unfolds the meaning behind his bizarre encounters on women with the said syndrome.